MLS# 19448714 – 342 Brockmont Dr, Glendale, CA 91202 – Robbyn Battles | Battles Real Estate | JohnHart "Real Estate Redefined"
Listing courtesy of Alphonso Lascano (CalBRE #01723550), Hilton & Hyland. Spectacular architectural compound w/ jaw-dropping jetliner views all the way to downtown. 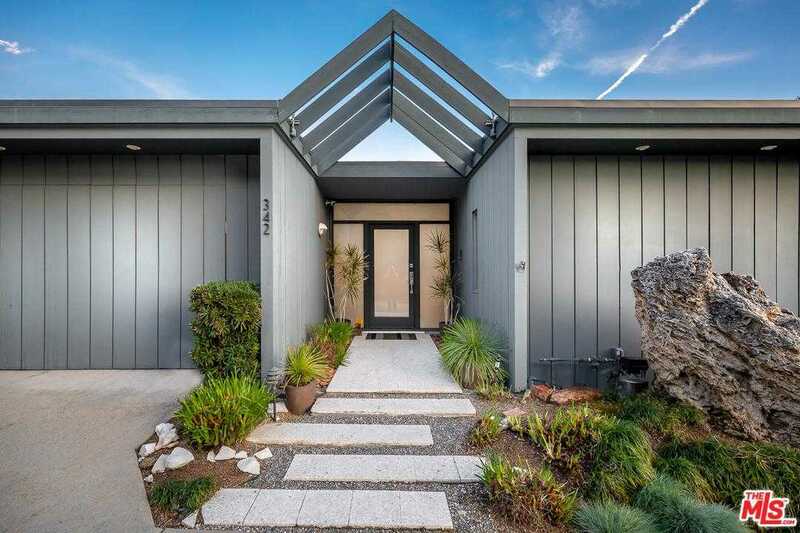 This 1960 Mid-Century masterpiece features period details at every turn. Completely updated this 3,682 Sf home features soaring pitched ceilings, walls of glass that highlight the mesmerizing views of the city. 3 private bedrooms all w/ views & updated private baths including a master suite on the lower level w/ a sitting room/office & a designer finished bathroom w/ a soaking tub, period lighting & walk-in closet. The open floor plan features a massive LR with a solid 12ft high wall of glass that completely opens on to a deck and showcases the 180-degree view! A sleek updated kitchen opens to a large everyday eating area & oversized fam. room. Entertain in style all year long in the private backyard oasis. While guests frolic in the sparkling pool to the smell of homemade pizza from your own wood-burning oven & grilling area. An iconic treasure like this doesn’t come available often. Building size: 3682 sq ft. Please, send me more information on this property: MLS# 19448714 – $2,395,000 – 342 Brockmont Dr, Glendale, CA 91202. I would like to schedule a showing appointment for this property: MLS# 19448714 – $2,395,000 – 342 Brockmont Dr, Glendale, CA 91202.